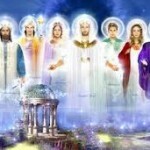 Greetings beloved Earthlings, incarnated starseeds and angels! 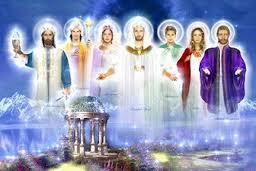 This is the Ascension Guides who come forward with a short message regarding prevailing energies. 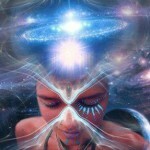 As we have conveyed through many different channels a major energy shift appeared at the beginning of the new year – From having left a long period consisting of waking up, consciousness and cleansing to the new on-going period where the focus is on cultivating the new multidimensional truth about yourself, which you integrate in your consciousness. The energetic transformation to the light body itself is further into the future as the frequency of Earth must be worked up to considerably higher dimensions. This is fully according to plan as the process itself requires “time”. The physical body is three dimensional and exist in a three dimensional reality, which means that “time” is required for the transformation to take place, simply put. The prevailing energies force you to more or less stand up for who you are by teaching you to live your truth fully in all aspects. This can be remind you of the previous period where things came to a point in order to give you opportunities to let go and heal. However, if you go in deeper you will see the difference, where it now is a matter of you building your strength and power and dare to be your true expression of yourselves. 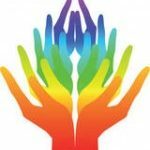 Even if the energies since the start of the year are much more “balanced” they can still be felt as intensive, as they like a wave push you forward and through what is standing in your way for you to be yourselves and stand for your unique truth facing all situations and humans. This means that everything in your life that does not benefit you will fall by the wayside during this period. As always, resistance creates more pain than necessary. Breathe, have trust and let go. You can even open your upper heart chakra by visualizing how they open up and send out a ray of light towards the universe. We will then find you like a fishing boat finds the lighthouse in the stormiest of nights. Through this consciously open heart channel we will be able to help you to integrate the energies in a more balanced way. However, everything is going according to plan and we are all honored to be part of this fantastic journey.